BA Illustration Degree - Duncan of Jordanstone College of Art and Design, Dundee, Scotland. 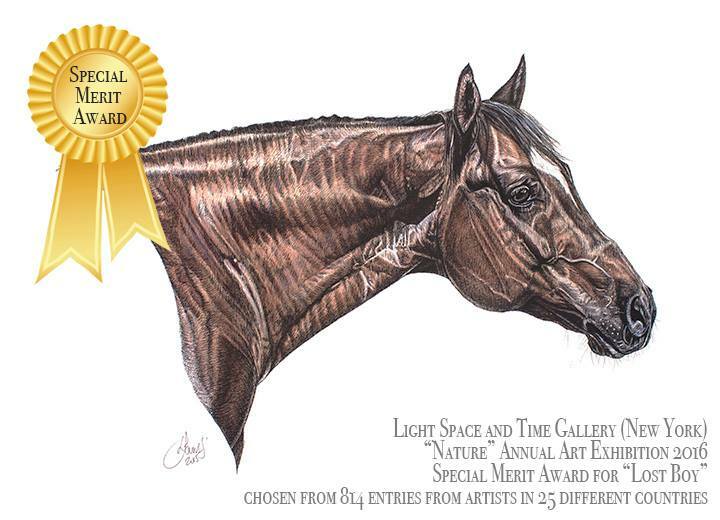 Artwork selected for "The Horse in Art" exhibition in The Menier Galleries, London by the Society of Equestrian Artists. The World of Dogs - An Artist's Perspective - Volume 1 Art book Published. The World of Dogs - An Artist's Perspective - Volume 2 Art book Published. 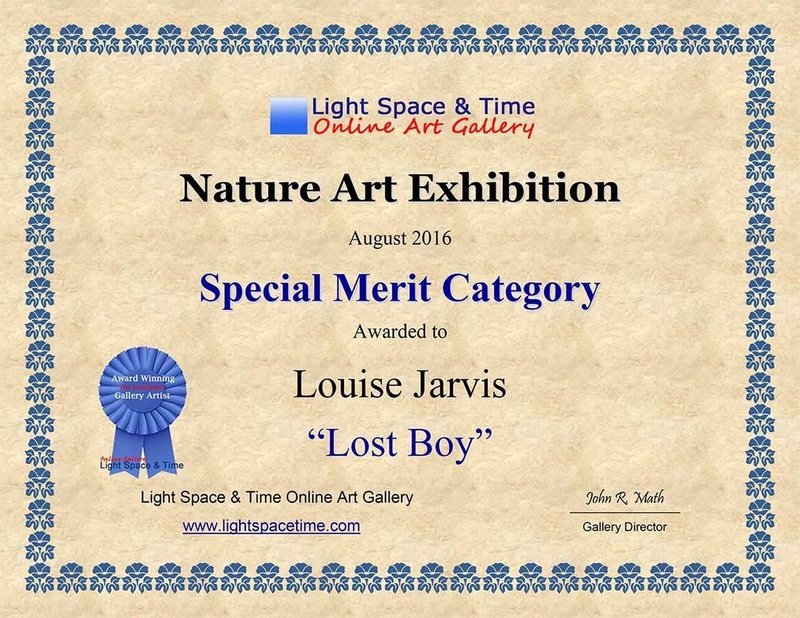 Light, Space Time gallery, New York - Annual Animal Art Competition - Special Merit Award for "Lost Boy"
The World of Dogs - An Artist's Perspective - Volume 3 Art book Published. MFA with MERIT - Art and Humanities Postgraduate Degree - Duncan of Jordanstone College of Art and Design, Dundee, Scotland. 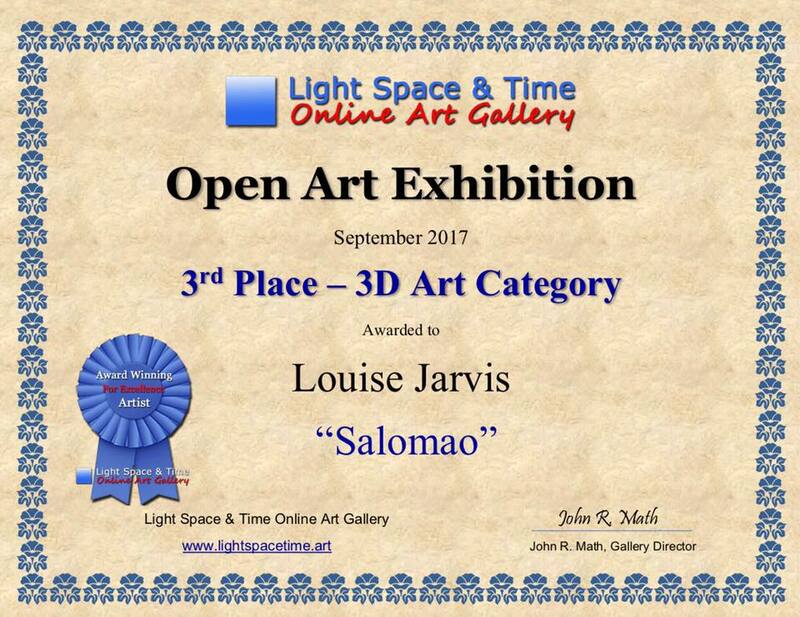 Light, Space Time gallery, New York - Annual Open Art Competition - Special Merit Award for "Insciente" Black Resin and metal sculpture. Radio interview I did for Heartland FM, featuring information about my work, my career and Perthshire Open Studios 2014.